The US regulator has rejected Pain Therapeutics’ abuse-deterrent opioid painkiller drug, Remoxy, for the fourth time. 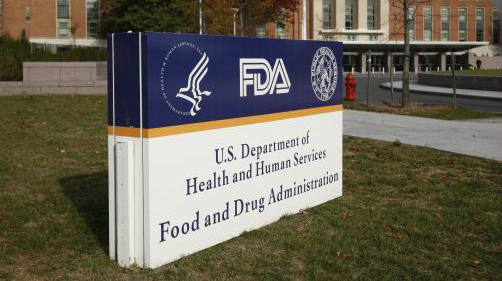 In a dreaded complete response letter, the FDA said the benefits listed in the filing for Remoxy do not outweigh the risks. Remoxy is an extended-release capsule formulation of the commonly used opioid oxycodone, and was designed to prevent abuse. The FDA’s judgment was met with dismay from the company, as its shares plummeted to an all-time low. Remi Barbier, president and CEO of Pain Therapeutics, said: “This is a bizarre conclusion to reach, especially during a time of staggering human and economic toll created by opioid abuse and addiction. The US opioid epidemic has blighted the lives of many people who have become addicted to this type of drug. When developed in the 1990s, the drug producers assured doctors that there was no such risk, which led to the medication being prescribed at high rates. However, 52,404 Americans died from drug overdoses in 2015 and preliminary numbers indicate that at least 64,000 died in 2016. Responding to this, the Health and Human Services (HHS) Secretary declared last year that opioid addiction was a public health emergency and issued a five-point opioid strategy. The aims include: improving access to prevention, treatment, and recovery support services; targeting the availability and distribution of overdose-reversing drugs; strengthening public health data reporting and collection; supporting cutting-edge research on addiction and pain; and, advancing the practice of pain management. Following the blow dealt with the rejection of Remoxy, Pain Therapeutics has announced that it will undergo a strategic reorganisation that will see it focus on its Alzheimer’s drug, PTI-125, which recently completed a successful phase 1 clinical-stage programme last October. It is also developing PTI-125DX, which can detect or confirm whether someone has Alzheimer’s well before any symptoms emerge. This would allow treatment to begin earlier to slow down or halt the progression of the disease. The details of the company’s reorganisation are expected to be announced within weeks.